When I was looking for The Day and Night Dress Challenge 2019 Sponsors, I really wanted to partner with some people that really reflect the spirit of this year’s challenge. There’s some old friends from previous challenges, and I’m really excited to share some new faces among our amazing sponsor list today. So let’s look at what’s up for grabs! All of the prizes will be for participants in the community challenge which is running all the way until March 17th. You have until then to post a picture of each your day and night looks to Instagram tagging me @elizabethmadethis with the hashtag#dayandnightdresschallenge. After that, all winners will be chosen randomly for prizes. To create your day and night looks, pair a dress you already have with 2 new garments or accessories that you will sew. Anything is game here, and I can’t wait to see people’s creativity come alive with this new spin! Make sure you check out the official challenge post for all of the details of the challenge! The lovely Anita of Anita by Design is generously sponsoring a $50 gift card to LA Finch Fabrics for one winner. I so wanted Anita to be a part of this challenge this year not only because she’s one of the kindest people out there, but also because we’re thinking a lot of the same thoughts about our wardrobes lately. Do not miss her Sewing With a Plan series! I’m glad to welcome Fabric Mart, a longtime supporter of the challenge among The Day and Night Dress Challenge 2019 sponsors! This year, Fabric Mart will be offering 1 Julie’s Picks Membership. Since the goal of this year’s Day and Night Dress Challenge is to help you create a flexible wardrobe, a Julie’s Picks Membership can be a huge help. Every month, Fabric Mart sends a swatch booklet with helpful sewing hints and pattern suggestions. It’s not always easy to shop for fabric online! Swatches can really help you look at the projects you already have and shop for new fabric without wondering will this actually match? Shari of My Daily Threadz is offering 1 of her multicultural sewing planners to one winner. The artwork in these planners is just beautiful and she’s done such a remarkable job of putting together a planner that’ll help you organize all your thoughts about your sewing projects and life in general! curate your current wardrobe, [and] also offer you all the tips and tricks to fill it with clothes that you will actually love to wear everyday “. What more could you want?! Eryn of Style Sew Me is offering 1 copy of her Madison Cardigan + Style Book for one winner. If you’ve never seen how expertly Eryn styles all of her patterns and outfits, go treat yo’self to her fantastic blog and learn from a master! 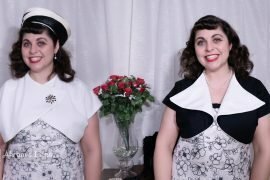 Seamwork Patterns is offering 1 pattern to 5 winners. 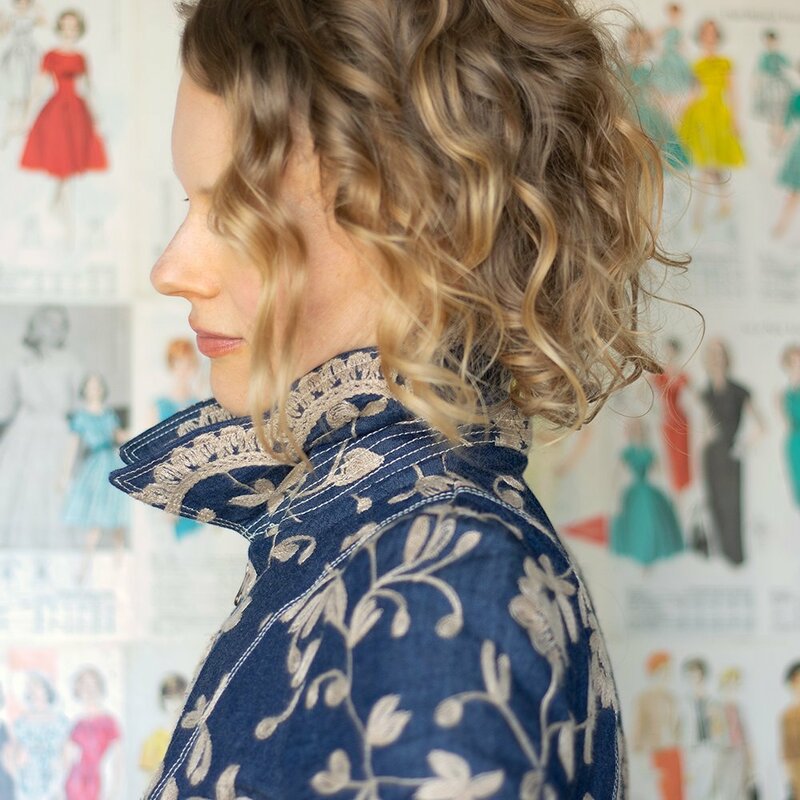 Winners can choose any pattern from Seamwork OR Colette’s impressive library of patterns. I’ve always loved how Seamwork and Colette do such a great job of focusing on helping people build a wearable wardrobe. Seamwork’s Design Your Wardrobe series and in the past Colette’s Wardrobe Architect both dive deep into thinking about how you go about planning. Definitely a good read! Fabric Magpie is also offering a £25 voucher to their shop to 1 winner. Boz always does such a great job of curating beautiful fabrics to make memorable garments. Kids are welcome to participate in this year’s challenge too! I know my daughter would be all over a dress in this hot air balloon print! Emmaline Bags is offering a $25CAD gift card to their shop to 1 winner. One of the things that I’m most excited about this year’s challenge is being able to encourage sewists who like not just garment sewing, and I can think of nothing cuter to go with your chosen dress than one of Emmaline Bags’ Necessary Clutch Wallets! I love how they have hardware kits like this one to go with their patterns. 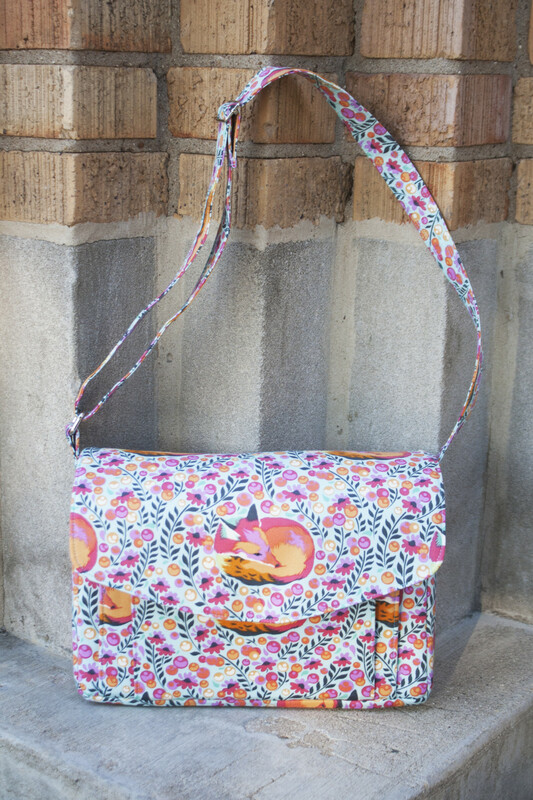 Speaking of awesome bag patterns, Sew Sweetness is offering 1 $80 gift certificate to their shop for 1 winner. If you don’t know, Sew Sweetness is another great name out their making bag patterns that yield professional looking results. If you’re a bag maker, you will never be at a loss trying to find a cool bag for any occasion from Sew Sweetness. I think an Appaloosa would be a great addition to your dress! Patternreview is offering a $50 gift card to their shop to 1 winner. If you’re looking for advice on any given pattern, Patternreview is the place to be. Plus, their contests are constantly pushing sewists to grow in their skills and have fun together! 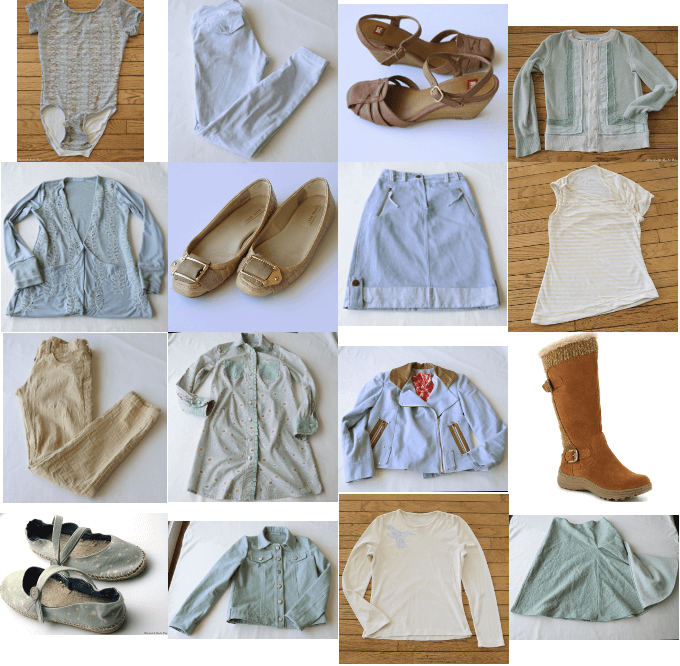 I know Wardrobe Sudoku forever changed how I look at my own closet! Sewalicious is offering a £30 gift card to their shop for 1 winner of The Day and Night Dress Challenge. If you can’t tell from their logo or their whimsical graphics alone, Sewalicious is one of the most fun shops I’ve seen out there offering modern fabrics and accessories to sewists. I love their cactus pincushion kit and their line of sewist themed jewelry by Jazzy Menagerie. 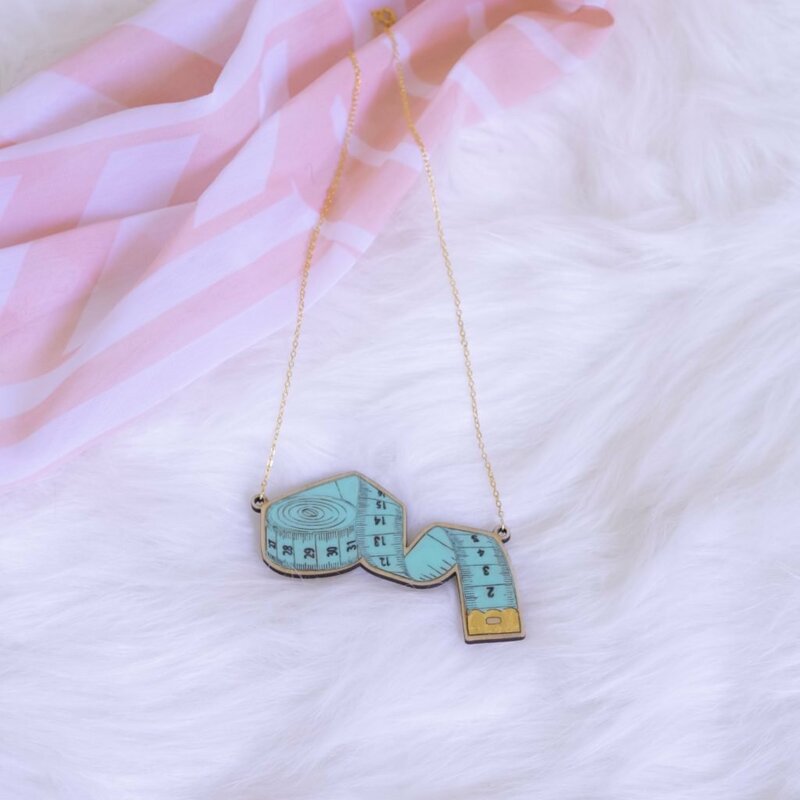 This measuring tape necklace is one of my favorites that I wear! Last but certainly not least, DG Patterns is offering a $50 coupon code to 1 winner for The Day and Night Dress Challenge 2019. DG Patterns always has such fresh pattern ideas and so many of them can easily make up a truly flexible wardrobe. I’d love to see the Soledad dress + the Leslie Cardigan as a combo! So those are all the prizes that are up from The Day and Night Dress Challenge 2019 sponsors. A giant thanks to all of the amazing people who are donating their fabulous products for the sewing community here! I cannot wait to give these out! Great job, Elizabeth! Awesome sponsors! I’m really looking forward to this challenge. I love that it focuses on working with what we already have in our wardrobes. 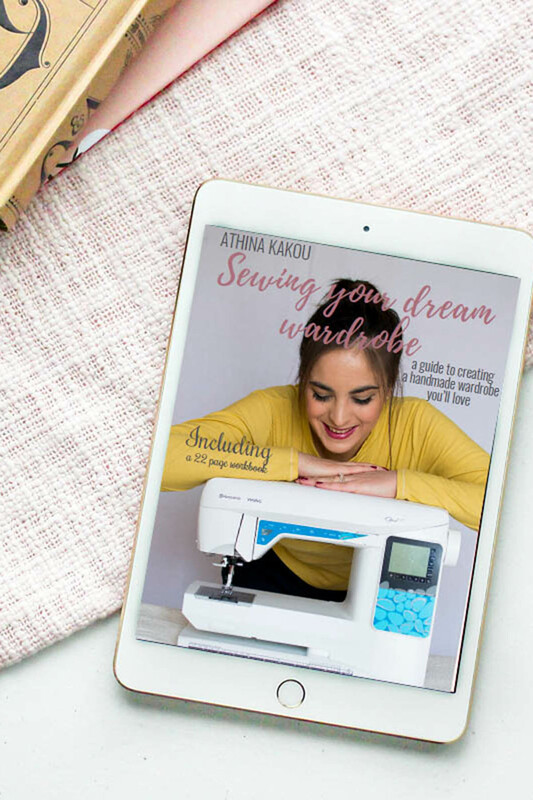 Congratulations on the launch of another exciting adventure for our sewing community. Thanks for all the fun you promote in sewing. Thank you so much Anita! This challenge has always been dear to my heart and it’s been fun to watch it morph every year! I’m so glad you’re a part of this!